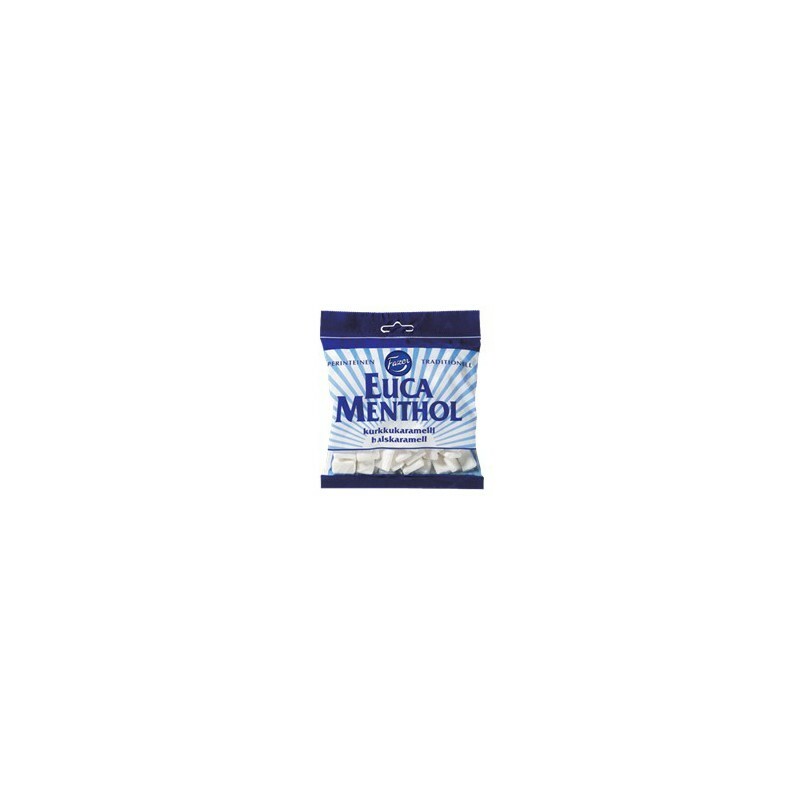 The Eucamenthol throat pastilles come in a blue and white striped bag and enjoy popularity, one flu season after another. (GB) Throat pastilles. Ingredients: sugar, glucose syrup, stabilizer (E420), flavourings (peppermint oil, menthol, anis oil). Producer: Fazer Confectionery, Finland. The nutritional needs of individuals (GDA) may be higher or lower based on gender, age, weight and level of physical activity. Copyright © 2019 - Nordic NINJA Store. All rights reserved.